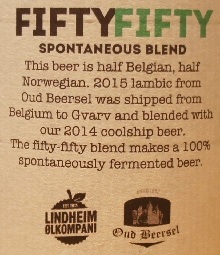 Brewer Description: (from bottle) FiftyFifty spontaneous blend. This beer is half Belgian, half Norwegian. 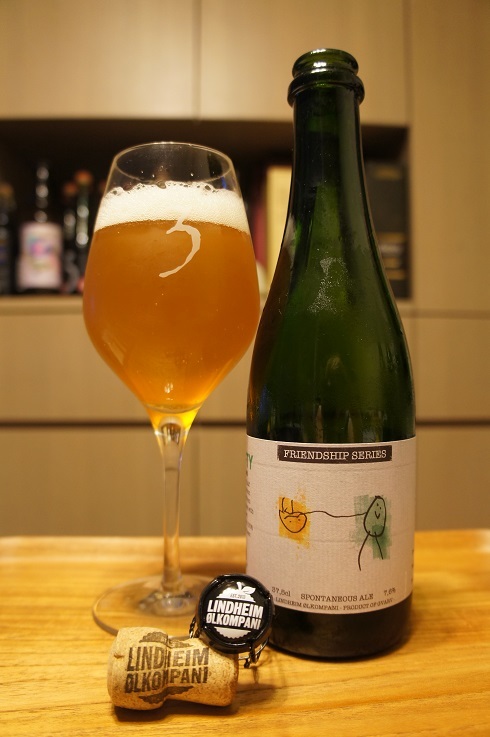 2015 lambic from Oud Beersel was shipped from Belgium to Gvarv and blended with our 2014 coolship beer. 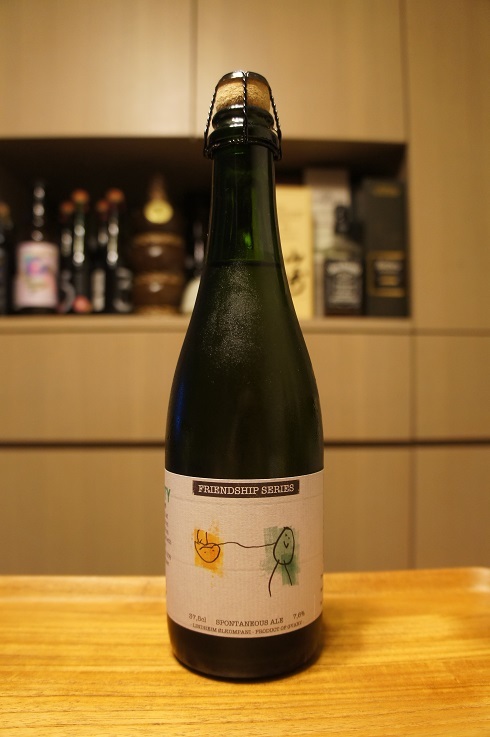 The fifty-fifty blend makes a 100% spontaneously fermented beer. Intro: A 375ml corked and caged bottle, production date of 2014/2015 and bottled on 11th November 2016. Poured into a 3 Fonteinen stemmed glass. Appearance: A hazy golden orange colour with a two finger white head that dissipated quite quickly and left only sparse to no lacing. Aroma: Funk, farmhouse, light tartness, apricot, peach and citrusy notes. Taste: Funk, barnyard, oak, sour, tart, lemon with hints of stone fruit and citrus. Mouthfeel: Medium to light bodied with moderate carbonation. Overall: Aroma was quite nice, but it seemed to have lost much of the nice fruitiness from the aroma in the taste as the funk and wood were quite powerful. As I drank more and more, it did grow on me though.